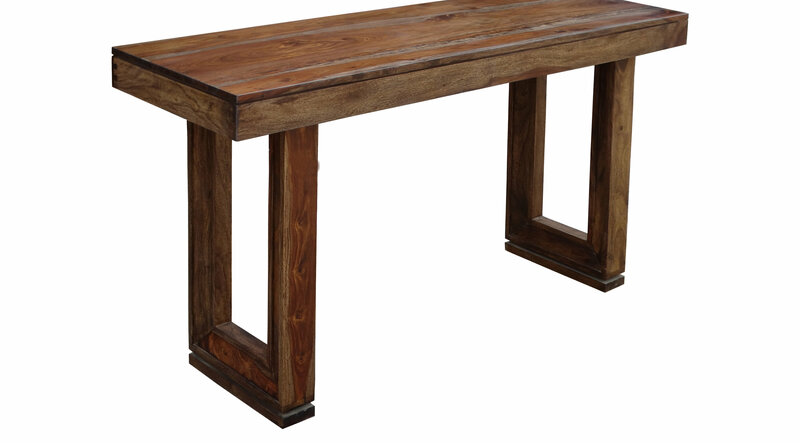 Showcase your favorite lamp or hang your prized painting over this stunning Brownstone Nut console table in your entryway or living room. It is constructed of solid sheesham-like wood with a brown finish that perfectly complements the grain of the wood. Picture framing legs help to elevate the simple design to a more sophisticated look.